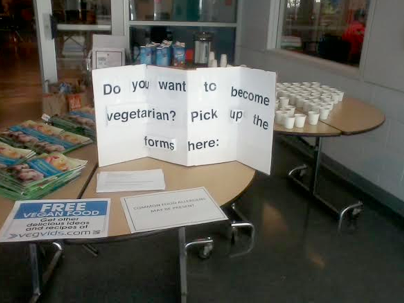 Animal rights book clubs are not a new subject here at Our Hen House. As one example, back in 2010 we told you about a NYC-based Animal Ethics Reading and Discussion group. If there’s a book club like that near you, you’re definitely in luck. 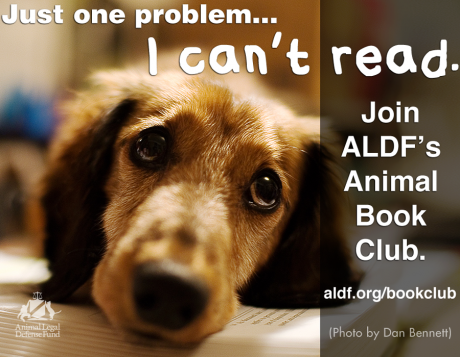 But even if there aren’t any AR-themed book clubs in your area, and even if you’re not ready to start one, you can always do some book club activism by joining a regular old club and suggesting pro-animal reads, which would hopefully result in opening some eyes to the plight of animals. Or you can start a virtual book club focusing on those hefty AR titles that you keep attempting to absorb through osmosis as they sit on the shelf (word to the wise: that doesn’t work, and I should know). Shameless plug time: Might I remind you that Our Hen House’s extensive collection of original book reviews might be a perfect place to gain some inspiration? And for those of you who lack the time to finish a book front to back, I can tell you — as one of the editors of those reviews — you can frequently gather quite a lot of food for thought simply by reading well-written reviews. Books have been on my mind of late. As Mariann and I will discuss on tomorrow’s podcast episode (it will be #166), we recently got rid of nearly all of ours — we donated hundreds of pro-animal books to various schools, libraries, stores, and people. We figured they’d do a lot more good in those places than sitting on our shelves collecting dust. And, in an era where e-books take up a lot less space (like, none), and you can even get library books electronically these days, I’m not sure I see the point in hoarding the three-dimensional version (especially when you live in a teeny tiny little shoebox-sized apartment). So, since, as noted, books have been on my mind, when I noticed that our friends over at the Animal Legal Defense Fund have started an “Animal Book Club,” where they showcase “the best books in the animal world,” allowing you to participate in discussions about both fiction and non-fiction animal-themed books, as well as “get insights from great interviews with top authors,” and — the vegan icing on the cruelty-free cake — “be eligible for awesome giveaways and prizes,” I got all warm and fuzzy inside. I’m such a huge fan of organized community-building think machines like these, especially when they are being put together by an inspiring, change-inciting organization like ALDF. I quickly discovered that ALDF’s Jennifer Molidor, PhD, is behind this new project. I shouldn’t have been surprised. Jennifer is also a reviewer for Our Hen House (her latest, a glimpse into Charles Siebert’s gripping e-book Rough Beasts: The Zanesville Zoo Massacre, One Year Later, is gut-wrenching, and will stick with you). Jennier earned her doctorate in English and Irish Studies from the University of Notre Dame and has been an English professor at Kansas State University for five years, making her book club activism a perfect example of how someone can make full use of their talents, skills and interests, in a way that will most certainly change the world for animals. Both photos — the one on this blog entry and the main one on the preceding page — are from ALDF. Thanks so much for sharing this! I am working on a new book myself. 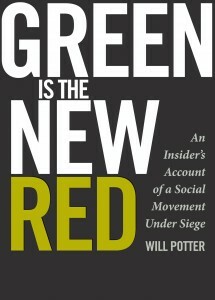 It's great to be a part of a book club to get the pulse of the community on current topics.